I was a skeptic of skincare products until I used the Odbo range of skincare products. Having poor skin condition, I have used many different products before: facial wash, toner, moisturiser. The toner leaves my skin feeling dry and stretched. The moisturiser clogs up all my pores. The Odbo products are different. I got these from the The Face Shop from my Korea trip. 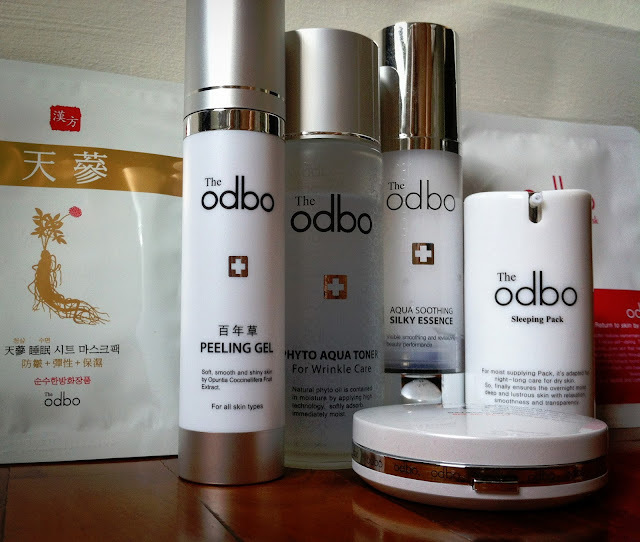 My tour group had attended the beauty academy before that so I had a chance to try out the Obdo products there. The teacher at the academy went through the steps to skin care at a rapid rate and educated us on the thinking behind it. Apparently, the Koreans focus on skin condition instead of cosmetics. They feel that if the skin is good, you look good and applying cosmetics is just an accessory. I like this thinking because guys don't put on cosmetics anyway. 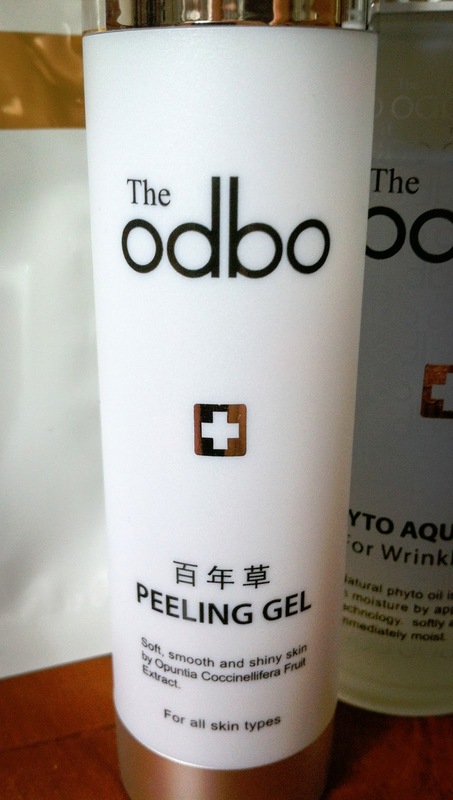 The peeling gel is made from Jeju island cactus. It is pinkish and feels cooling when you spread it across your face. Using your third and fourth finger, gently rub in a circular motion on your face. You will notice white dirt, much like eraser dust, start to form on your skin. It is actually your dead skin that is being peeled off the gel. Wash it off after peeling for 5 minutes. Selling on Qoo10 for SGD $65. 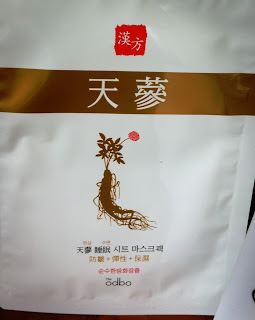 We were given the ginseng mask at the academy. Of course, you can use any of your own mask. 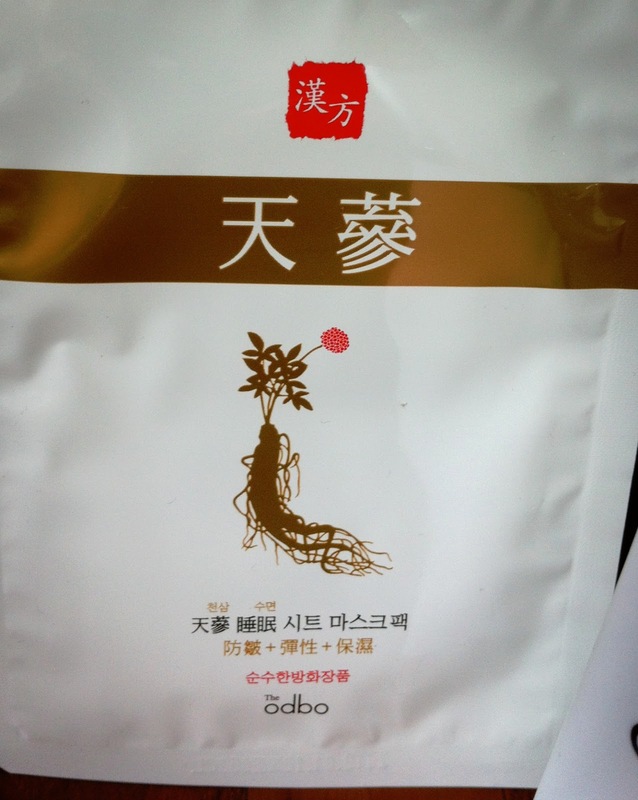 The ginseng mask has a strong ginseng smell, a treat for ginseng lovers. The instruction on the back is written in poor English, definitely a direct Korean to English google translate. It states that it contains ginseng, coenzyme Q10 and collagen. There are many debates on how much the skin actually absorbs these chemicals and I will say that it is better than not doing anything. When applying the mask on your face, ensure that you push out all air bubbles so that the mask is in full contact of your skin. Next, push the remaining moisture onto your neck. You can also pour the remaining essence (they give a lot) in the packet onto your palms and spread it on your neck. Don't let it go to waste. After 20 to 30 minutes, take the mask off and allow your skin to dry off. Do not wash it off. The Phyto Aqua Toner does two things: balancing the pH level of your skin and also to open up your pores for the next step. To apply the toner, take a piece of cotton and dab 3 to 4 times. Wipe the cotton over your face in an upward and outward motion as our pores faces downwards. You want to push the toner molecules in. The toner does not contain any alcohol and it's like putting scented water on your face. Your skin does not feel stretched after you are done. For those who are curious what the word phyto means, you will not find this in the dictionary. And I did look it up in an actual dictionary, between physique and pi, there is nothing. When trying to find the definition on Google, the closest explanation I got is that it is plant related. What I think, this is just a word the beauty industry use to make their product sound clever. This is an important step as it fills your pores with nutrients, keeping the dirt and dusts out. It is also my favourite step because it feels so good. 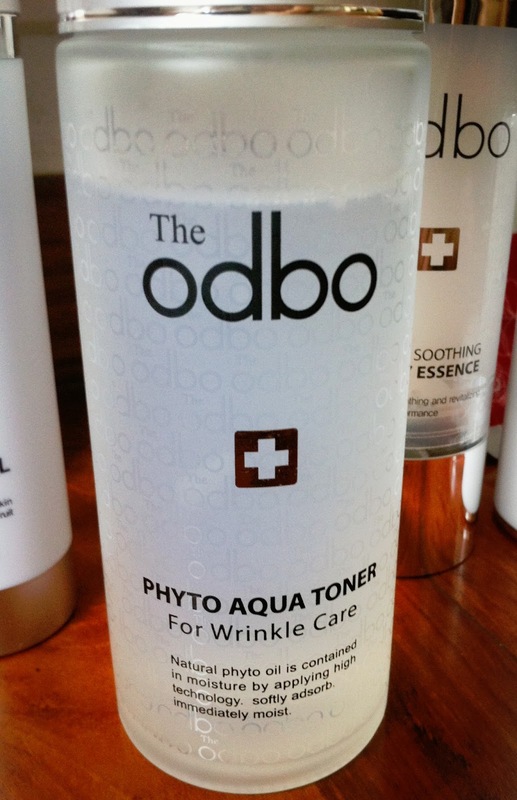 The Odbo silky essence moisturises and makes the skin firmer. As I spread the white coloured essence on my skin, it becomes transparent and watery. It is amazing as I have not seen such a substance before. The smell is fragrant and not overpowering. After applying, my skin feels bouncy to touch and no longer feels dry. It does not feel oily or make your face heavy or shiny too. It is able to last the whole day. The bottle works in an interesting way. It has a compressed bottom that pushes up on the essence content. As you continue to use it, you can see the bottom rising up. The level in the photo is after about one month of use. Silky Essence selling on Qoo10 for $43.90 for a limited time. Being in Singapore, we are constantly bombarded by the powerful sun rays. The UV ray is very harmful as it damages protein molecules. The expert advice is to put on sunblock before you go out. However, most sunblock solutions leaves your face white and oily. The Odbo sunblock is different. It comes in a foundation pack and you use a pad to wipe it unto your face. It was easy for me to apply on my skin. The entire package is easy to slip into your bag or pockets and bring it around. I will note that the sunblock does feel slightly oily and does not work well for me as it causes minor outbreaks on my face. Thus, I am not using this very often. Still, I will say go ahead and try this out. Available for SGD $50 on Qoo10. Before you sleep, you need to keep your face moisturised throughout the night. What better time to repair your skin cells. The essence will work in this case. Or you can use the Odbo sleeping pack too. It is a clear gel that is denser than the essence. Similarly, the fragrance is faint and easy on your nose. 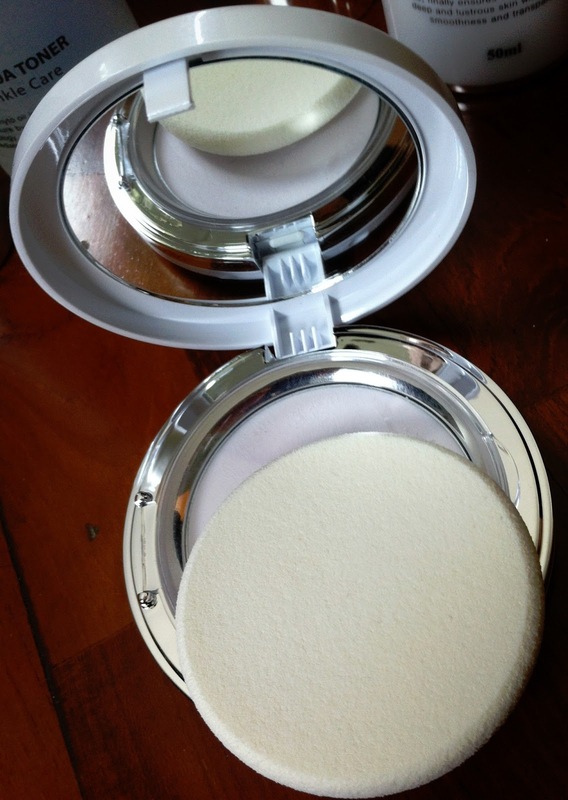 After applying, I noticed that it is quickly absorbed into the skin. It feels slightly sticky but it's nothing that will bother you. The instructor told us to apply both the essence and sleeping pack. Personally, I only use the sleeping pack at night after applying the toner. That works well for me too. When you awake the next day, your skin feels fresh and bouncy. Excellent! Available for SGD $52 on Qoo10. What I was taught above are for both guys and ladies. For the ladies, there are additional products such as the BB cream (there is even CC cream now), eye cream, which I will not go into length here. However, I will talk about the Odbo O2 cleanser. It's just too amazing to leave this out. Notice that I did not talk about any cleanser, that's because we did not a chance to try this product out at the academy and I did not purchase it either so I cannot do a fair review. When you apply the cleanser, it appears clear at first. A few seconds, you notice a white dense foam forming. I was told it is due to oxidisation. When you wipe the foam away, the bottom begins foaming soon after. It looks like a really cool party trick. The cleanser removes make up too so ladies will find this handy. At the Face shop, all the Odbo products were going for 44,000 won each. This works out to SGD$49. For every 5 items, we get 1 free so the average cost per item can be SGD$41. I got all the six items that I just reviewed. My girlfriend got the BB cream. The collagen masks, which was not reviewed, were given free when you purchase beyond a certain amount. If you are thinking of getting these items, I see them on Qoo10 selling for between $52 to $58. 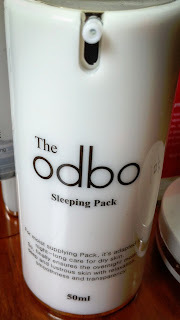 I am not sure if any shops in Singapore stocks up on the Odbo brand. 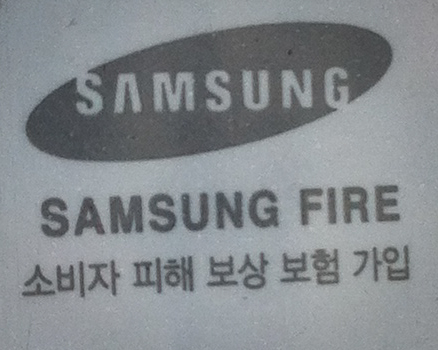 If you looking to purchase this, the box will have this Samsung Fire logo on it. It appears to be insured under Samsung. Personally, I feel that my skin condition has improved a lot. The products has performed well. At this price, I think that it is a little pricey compared to the usual range of products. However, for the results on the skins, it is value for money. Some of you may be going to Korea on your own and you will like to visit the shop where it is selling the Odbo products. From what I know, the normal Face Shop do not have Odbo products because I have been to them while I was in Korea. The Odbo product is targetted at tourists and even the local Korean will not have heard of it. After some searching online, based on the directions on Missingray blog and my memory (which is mostly about BBQ grills), I believe this is the correct direction on Google Map. From Google Map's street view, the picture of the shop front fits what I had in memory, including the surrounding areas. The shop is a long walk from the Mapo-gu Office station. Check out Missingray blog for more details on walking there as I got there in comfort of a tour bus. Good luck and may you have happy returns!